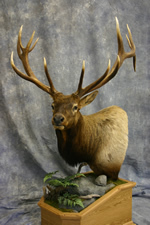 Mount Medix LLC is a company founded to provide high quality natural products to the taxidermy industry. The Mount Saver™ line is the first line of products made from natural ingredients to treat insect infestation in taxidermy mounts. This product line was created by leading natural product development scientists in conjunction with professional taxidermists by adapting an existing extremely potent natural insecticide to the needs of the taxidermy industry. These products have been thoroughly tested in the laboratory and have been privately used to treat insect infestation in mounts and trophy rooms for the last several years. 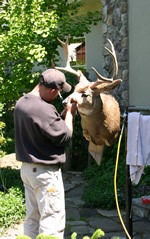 The Mount Saver is a reliable tool to eliminate insect infestation in taxidermy mounts. 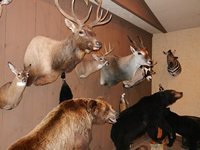 This product line is now available to professional taxidermists and the taxidermy industry. The products can be legally purchased by the public and applied WITHOUT a pesticide applicators license. As with all Mount Medix products, Mount Saver and Mount Saver Hoof & Horn have been thoroughly tested against moth and dermestids in many types of mounts. The Mount Saver products come with easy to follow instructions for use and are very effective in eliminating insect infestation in an extremely short period of time. 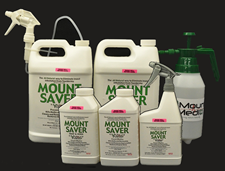 The Mount Saver products are available in a "Ready to Use" and concentrate products. Mount Saver can be simply applied using the provided sprayers in the case of the "Ready to Use" products or with a high quality sprayer provided by the applicator in the case of the concentrated products. Mount Saver has been proven to eliminate the infesting insects in all stages of the insect's lifecycle from egg to adult. The infestation treatment products will also clean years of accumulated dust and restore the original natural luster to hair and feathers, as well as, provide a clean pleasant "non chemical" odor on the mounts.